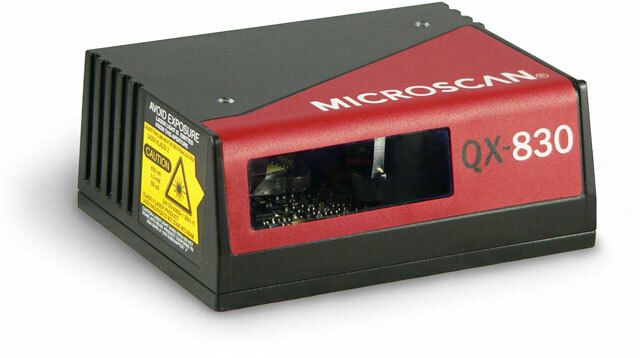 High performance, simple connectivity, and IP65 enclosure make the Microscan QX-830 an ideal laser scanner for any industrial application. The innovative Quick Connect System includes M12 Ultra-Lock connectors and cordsets for plug-and-play setup of single or multireader solutions. Symbol reconstruction provides decoding of damaged, poorly printed, or poorly aligned 1D barcodes to ensure high read rates and throughput. The QX-830 includes embedded Ethernet TCP/IP and EtherNet/IP for high speed communication. The Microscan FIS-0830-1004G is also known as Microscan Systems	FIS-0830-1004G	or FIS08301004G	.